Like we said before, start saving your pennies and dimes. 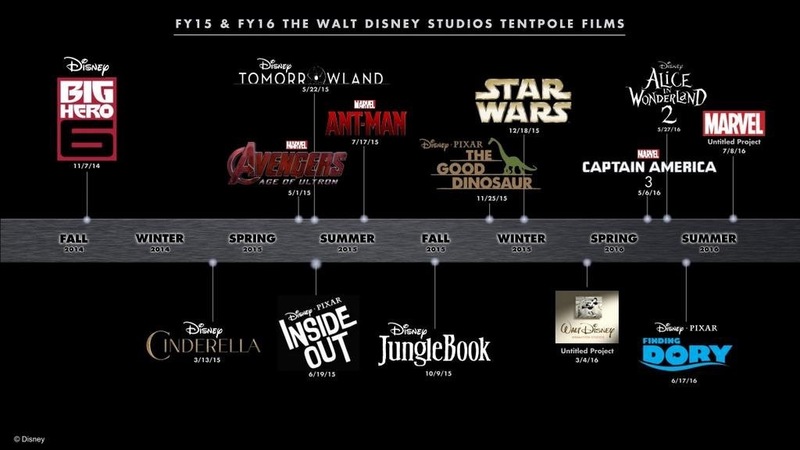 Disney is rolling out an impressive lineup of films for the next two years. Check out the timeline below, then listen to Episode 5 where we discuss some of the trailers to a few of these movies and other films that are outside the Disney Empire! Spread the word to your fellow nerd! And thanks for listening.